However, the National Democratic Alliance will emerge as the largest coalition group in Parliament, the surveys predicted. 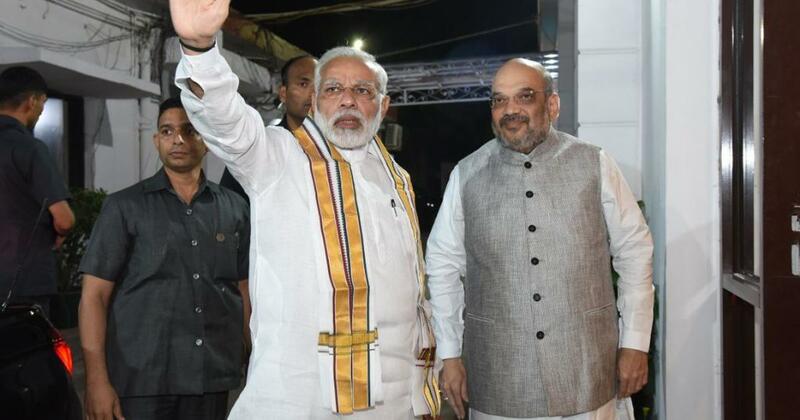 The Bharatiya Janata Party-led National Democratic Alliance will fall short of the majority mark of 272 seats in the Lok Sabha, two opinion polls said on Thursday. However, the alliance will emerge as the largest coalition group in Parliament, the polls added. The BJP had won 282 seats in the 2014 General Elections, with the ruling alliance securing 336 seats overall. The Congress-led United Progressive Alliance won just 60 seats in the elections, with the Congress registering its worst-ever performance, securing just 44. The 2019 General Elections are likely to be held in April and May. The ABP News-C Voter poll predicted that the NDA would win 233 seats, while the Congress-led UPA would secure 167 seats. Other parties are expected to win 143 seats. ABP News said it used a sample size of 22,309 respondents, and conducted the fieldwork from the third week of December till the third week of January. The survey predicted that the BJP would win 24 out of 26 seats in Gujarat, 23 out of 29 in Madhya Pradesh, and 18 out of 25 seats in Rajasthan. However, it is expected to suffer a major drubbing in Uttar Pradesh, where the alliance between the Samajwadi Party and the Bahujan Samaj Party is expected to bag 51 of 80 seats. The BJP is expected to be reduced to 25 seats while the Congress may end up with just four seats. The saffron party, in alliance with the Apna Dal, had secured wins in 73 constituencies in 2014. In Maharashtra, the BJP-Shiv Sena alliance, which won 41 seats in 2014, is likely to slip to just 20 seats. The Congress-Nationalist Congress Party coalition, on the other hand, may secure 28 seats. 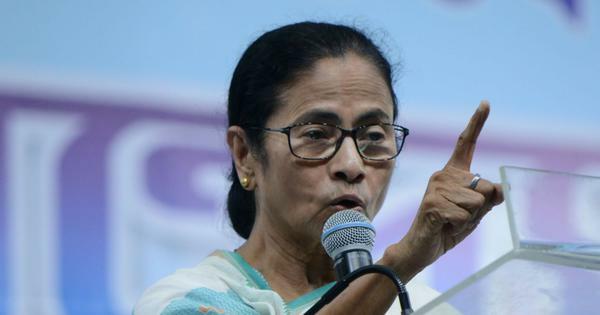 In West Bengal, Mamata Banerjee’s Trinamool Congress is predicted to win 34 out of 42 seats, the survey said. The BJP may win seven constituencies. In Odisha, the Biju Janata Dal is estimated to win just nine seats while the BJP may end up with 12. In southern states of Karnataka, Kerala, Tamil Nadu, Andhra Pradesh and Telangana, the Congress-led UPA would win 69 of 129 seats, the ABP News-C Voter survey claimed. The NDA is expected to be restricted to 14 seats, with the rest going to regional parties. The India Today-Karvy Insights poll threw up similar results. It said the NDA was likely to secure 237 out of 543 Lok Sabha seats, and the UPA 166 seats. Regional parties are likely to win the remaining 140. The survey predicted that the NDA would get 35% of the votes, while the UPA would manage 33%. The India Today survey also presented three alternative scenarios, based on likely party alliances. According to the first scenario, if the Peoples Democratic Party, the Trinamool Congress, the Samajwadi Party and the Bahujan Samaj Party join the UPA, and the YSR Congress Party and the All India Anna Dravida Munnetra Kazghagam join the NDA, the UPA will win 272 seats with 44% of the vote share while the NDA will fall to 234 seats with 40% votes. In the second scenario, the Biju Janata Dal and the Telangana Rashtra Samithi also join the NDA, taking the NDA’s tally to 257 seats. According to the third scenario, only the Trinamool Congress, the Samajwadi Party and the Bahujan Samaj Party join the UPA. This will take the anti-BJP alliance to 269 seats and the NDA 219 seats, while other parties will win 55, the survey said.